Learn to identify alphabets while having fun moulding the colourful dough. Helps your child develop fine motor skills, shapes recognition, curiosity and creativity. Contents: 4 tubs of dough, 1 rolling pin and 26 alphabet dough cutters. Age 4+ years. 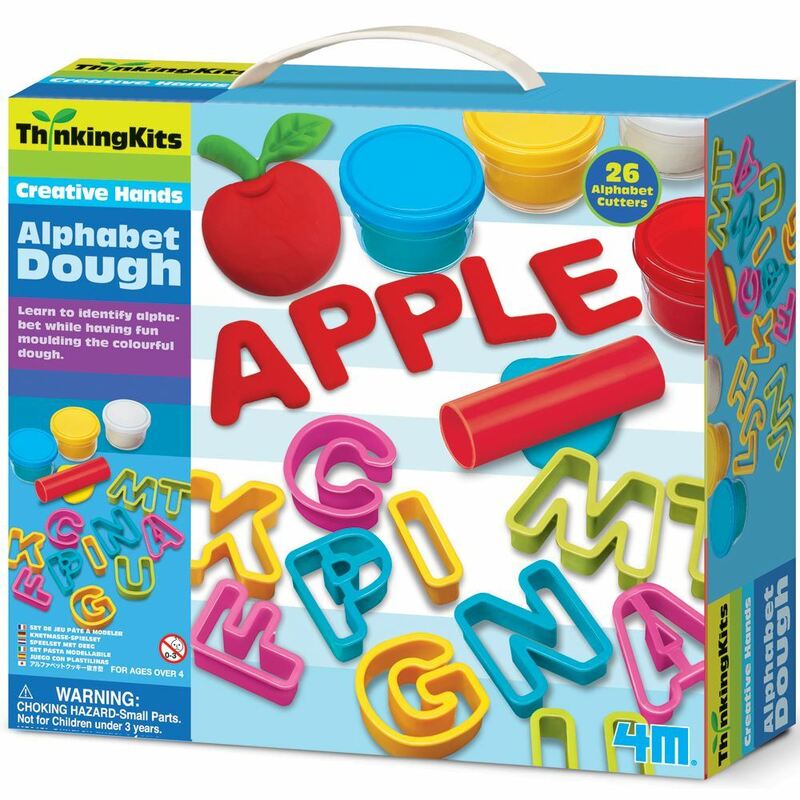 Part of the Thinking Kits Creative Hands range. Distributed in New Zealand by Holdson.